Hi friends !! 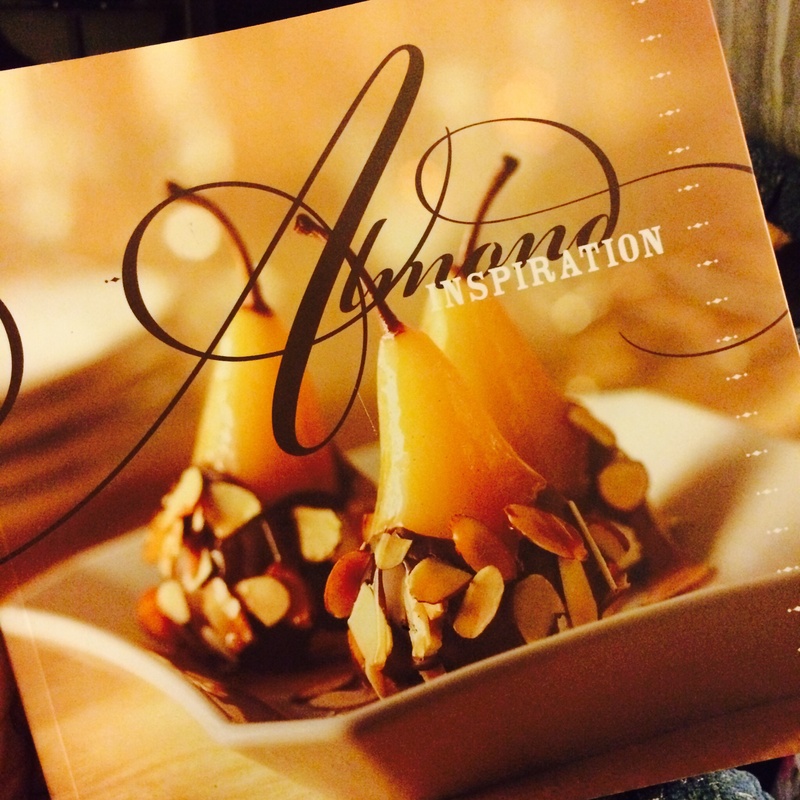 I’m so happy to share with you this recipe cook book called Almond Inspiration published by The Almond Board of California in 2007. Once in a while I find a worthy recipe book at my local thrift store! Ever since I was a kid I loved Almonds because it simply tasted like vanilla -fancy, i know 🙂 ! and that’s all it took for me to retire peanuts forever ! There are a variety of ways to use almonds e.g. Maple ricotta parfait with almonds and plums or spiced veggie wraps with almonds and raita ! I love how you can take Almonds from dessert to dinner, they are so versatile. I just cant wait to try out some of these awesome recipes ! To get Almond Inspired visit http://www.almonds.com ! Happy Sunday Everyone !! Thanks for sharing! I love almonds too! I even like to put almond extract in my fruit smoothies. And coming up on my blog, I’ll be talking about an almond dessert I recently had that was OUT OF THIS WORLD! Have a great week :)!